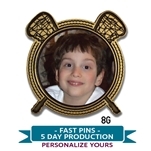 Personalized lacrosse lapel pins for individuals and teams. Add your custom info. 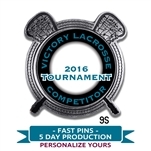 to a lapel pin for the team or lacrosse tournament.